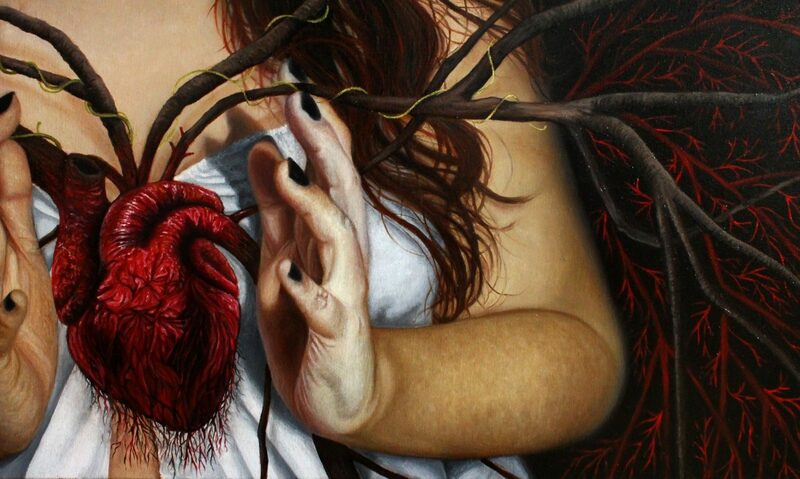 Donatella Marcatajo, born in 1990, is an Italian-based painter. 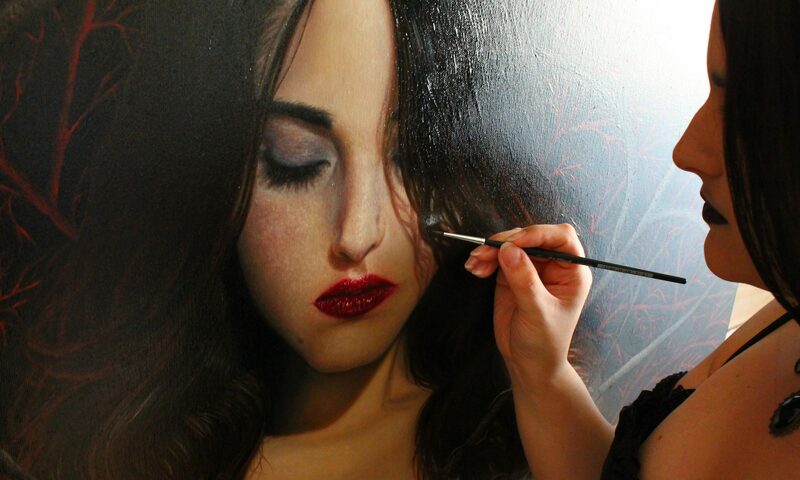 She’s self-taught and she inherites from her grand-father her painting skills. She started her artistic path with comics, finding a personal way in watercolors and ink. Some of her works were selected for books illustrations. Her paintings are focused on the interiority of her soul, getting through and exploring the states of mind against the reality. She was featured in Beautiful Bizarre 016 issue (2017 March) and in Poets Artists Portrait issue #83 (2017, April). In my paintings, ​I want to propel the viewer in my own exploration of the soul universe. I’ve always thought that every painting could narrate a unique story, sometimes mine, sometimes inspired by something else, even if it always passes through my lenses. There’s always something to tell, an intrinsic and deep story told through the expressions of my subjects and symbols included on the canvas that could disclose and give my own world in a silent whisper. My paintings are focused on the interiority of my soul, by getting through and exploring the states of my mind. In this particular moment, I’m trying to investigate the grief and the awareness about the uncontrollable flow of time. I believe that our emotions need to get out in any way we can to not get overwhelmed by them. It’s a process ongoing and I usually be guided only by my personal visions and instinct. I often use titles or quotes of books that inspire me the most or that are accompaning me in this path.